Ani Gjika, the wonderful Albanian-American poet, whose first book, BREAD ON RUNNING WATERS, was published by Fenway Press, has translated a rich collection of poems by prominent Albanian poet Luljeta Leshanaku, to be published in April 2018 by New Directions. Congratulations, Ani! You might end up as a crackpot curmudgeon, blaming your failures on the government, or foreigners, or politically correct liberals, or women, or the vagaries of history, or other enemies of your freedom to do as you damned well please. And feeling your life has been made miserable by subversive forces beyond your control, you might in turn make life miserable for some of those within arm’s reach. 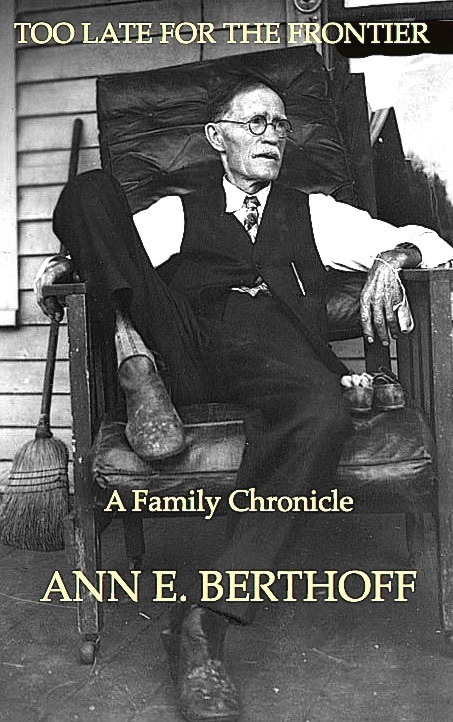 Fenway Press is delighted to bring you this complex American family chronicle. NOTE: This is a limited edition. To reserve your copy, write to david.gullette@simmons.edu. $16 includes shipping. ANI GJIKA’S FIRST BOOK OF POEMS, BREAD ON RUNNING WATERS, TO BE PUBLISHED BY FENWAY PRESS IN FEBRUARY 2013. More on the BREAD ON RUNNING WATERS page (click on the right). I’d like to announce the launch of Fenway Press, a consortium of writers who will band together to publish their work independently, using efficient new printing technologies, and spreading the word about new books through online networks . Our first title will be my novel Dreaming Nicaragua (see under “Pages”). Our second title will be George Nitchie’s book of poems Around the College (see under “Pages”). Why begin an enterprise like Fenway Press? As Jason Epstein makes clear in “Publishing: The Revolutionary Future” (New York Review of Books, March 11, 2010) traditional publishing is obsolescent. Cunning writers realize that by using a rainbow of new tools–On Demand publishing, Online advertising, Blogs and Websites, Social Networking, etc–they can free themselves from the tyranny of trade publishing houses and reach their target audiences easily and at minimum cost. The writers selected to join the Fenway Press will pool their energies and talents to help each other design, print, advertise and distribute their books. Readers will be able to purchase Fenway Press books online at this website. Aside from contributing to a fund to maintain the website and publish an occasional advertisement, each author will keep all proceeds from the sale of his/her books above the costs of the actual printing (and state taxes). I see this initiative as the publishing equivalent of Fair Trade: remove the middle man as much as possible, so that the producer of the goods (coffee, novels, chocolate, poems) is linked directly with the consumer (reader) and can be fully recognized, honored, and (of course) compensated for his/her labors. So here’s our working motto for Fenway Press: FAIR TRADE FOR AUTHORS. This means, at least for me, leaving Amazon.com out of the loop as well: The Beast charges 35% of every sale, which does bite into one’s margin. I’m even debating the use of PayPal (but since many people have stopped writing checks, that may be a compromise I’ll have to make). This is the birth of an idea. It will be altered and reshaped in the weeks and months ahead. I have a steep learning curve ahead of me. For starters, this is the first time I’ve ever blogged. But I’m looking forward to the adventure. And I welcome all comments and suggestions, the more trenchant, the better. In my next post I will describe Dreaming Nicaragua and give you a taste of the book’s varied texture.